Search Results for "white pearls necklace"
A white lacy dress on a female mannequin. 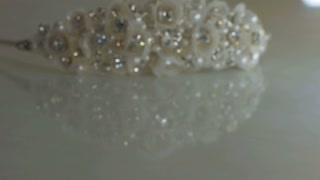 Dettail of a wedding gown with necklace made of pearls. Fashion concept. Decoration on the table. Beautiful brooch on the table. precious stones. Jewelry. Jewelry for women. Rose gold pearls in bag rotating on white surface. Close up 4k footage. White and gold pearls on metal surface. Close up of jewelry 4k footage. Rose gold pearls on metal surface. Close up of pink jewelry 4k footage. Spider web in the forest. Close-up view. Products from natural white pearls. Real White And Gold Pearls Close Up Macro. Black and White Pearls in Red Gift Box on White Surface Close Up Macro. Black Pearls Close up Macro With Red Glitter Texture On Background. Black, White and Silver Pearls Close up Macro. Gold Pearl Rings in the Red Gift Box With Gold Glitter Texture On Background.